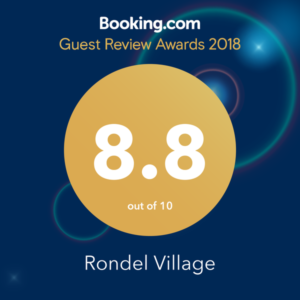 Rondel Village is pleased to announce it has won the Booking.com 2018 Guest Review Award with a guest score of 8.8 out of 10. 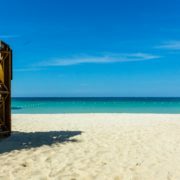 The Booking.com guest review score climbed from 8.6 in 2017 to 8.8 in 2018, which reflects the high satisfaction rate among the thousands of guests from all over the world who make their way to Rondel Village in Negril, Jamaica year after year. On presenting the award, Booking.com said “This award is in recognition of your hard work day after day, guest after guest. It shows how much your guests appreciate you, and how lucky we are to call you our partner.” Rondel Village guests and others are invited to share the award with the hashtag #GuestsLoveUs . This latest achievement joins a growing list of Rondel Village awards earned from various travel websites, which further validates the importance of guest satisfaction to Rondel Village’s management and staff. To learn more about Rondel Village, please visit rondelvillage.com.